DC Comics Bombshell Variants Return! If you are a fan of DC Comics Bombshell Variants from last June (June 2014) then strap in, because you are in for a treat. First up will begin releasing a new Digital first series centered around the Bombshell characters. It will be written by Marguerite Bennett and have art by Marguerite Sauvage. 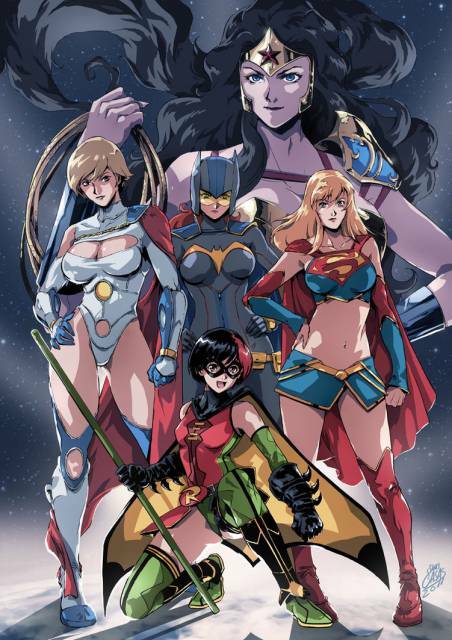 The series “Introduces retro-bombshell versions of Batwoman, Wonder Woman and Supergirl in an alternate reality where super-powered female heroes are on the front lines in WWII (DC Comics).” The series will begin releasing digitally first in July with the first print version released August 12th. I assume the series will be like most of their other digital first series where digital versions will be released weekly for 99 cents and print versions will collect every three to four digital issues and release for 2.99 to 3.99. This isn’t the first time DC has released a comic series based on one of their lines of figures. Back in 2012 they had a Digital first series based of the Ame-Comi statues that was actually pretty good (check it out here on Comixology). There will also be new Bombshell statues! DC released pictures of the first two featuring Killer Frost and Cheetah. 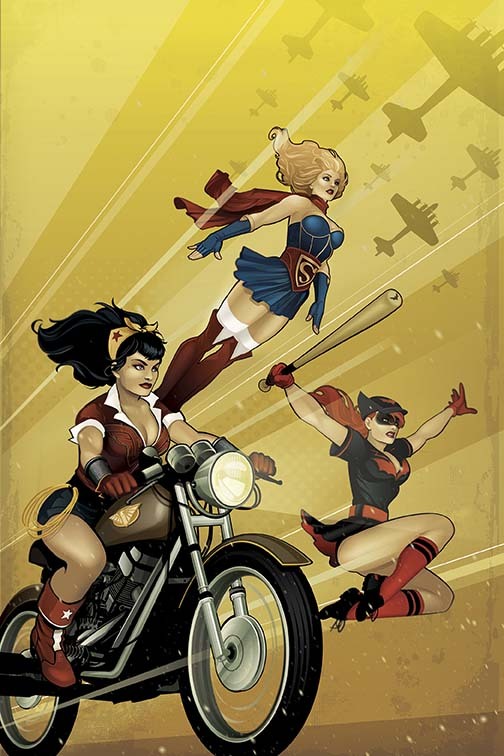 It is no secret that the of the DC Comics Variant Cover theme months the most popular by far has been the Bombshell themes. Since their release DC has put their Bombshell characters on statues, glass wear, t-shirts, lip balm, you name it. So it’s pretty exiting then that DC have just announce that they will be releasing another set of 21 Bombshell variant covers this August! Not only did they just announce they are coming out but they also released them all on their website! So check them out and start saving your money now! This entry was posted on Friday, May 15th, 2015 at 10:47 pm	and tagged with action comics, aquaman, august comics, august covers, batgirl, batman, bombshells, catwoman, cheetah, Comic Books, Comics, DC, dc august 2015, dc bombshell, dc bombshell variant covers, dc bombshells, dc comics, detective comics, justice league, killer frost, superman, The flash, variant covers, wonder woman and posted in Comic Books. You can follow any responses to this entry through the RSS 2.0 feed.